Whether you’re a seasoned traveler or haven’t gone far from home, Crystal Cruises will become the standard by which you measure luxury travel. Our incredible line of brand-new vessels, combined with our attentive staff and breathtakingly beautiful destinations simply can’t be beat. Whether you prefer a large cruise ship, a smaller river boat or an intimate yacht, you’ll find it here. 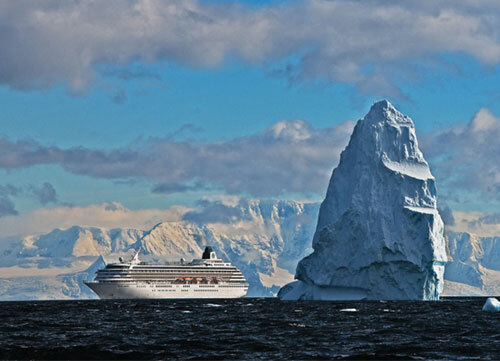 Welcome – please take the time to look around, choose your ideal voyage and experience for yourself why Crystal is the most awarded luxury cruise line in the world. Crystal Cruises offers access to some of the most beautiful and historic places in the world, ranging from the old-world beauty of the Rhine to the lush tropics of the Caribbean and everything in between. With European river cruise itineraries ranging from seven to sixteen days, how much you want to see is entirely up to you. 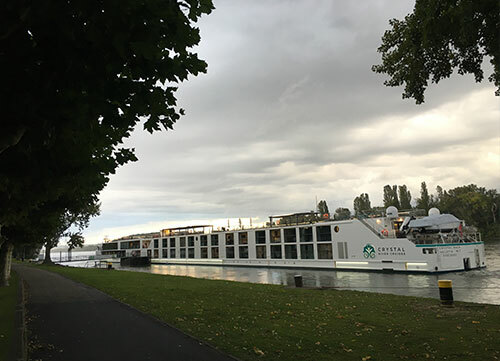 You’ll love the river cruise experience – far more intimate and close to the action than a traditional cruise ship but retaining the luxury you’ve come to expect from Crystal. Tours visit Belgium, the Netherlands, Amsterdam, Hungary, Germany, Switzerland, Slovakia and Serbia, utilizing the ancient roadways of the Danube, Rhine and Main rivers. These rivers allow access to old-world villages and sights you simply can’t get to on a traditional cruise ship. Their banks are lined with incredible architecture, natural beauty and so much more. Regional cuisine, stunning artwork and local history are just a few of the excursions you’ll have the chance to partake in on your cruise. Our fleet of Europe river cruise boats includes the Crystal Ravel, Mozart, Bach, Mahler and Debussy. Boasting exotic ports of call across the globe, Crystal Cruises offers cruise vacations the way they should be. Visit Australia, Hawaii, the South Pacific islands, New Zealand, Asia, India, South America, Western Europe, Alaska, New England and Canada, the Holy Land, Arabia, Egypt, Italy or Israel, in one of many combinations. See the world from our lavish cruise ships, disembarking for incredible local dining, enriching cultural tours and much more. 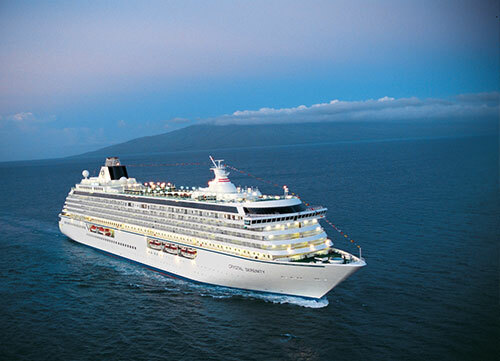 Our cruise fleet includes the Crystal Serenity and Crystal Symphony, newly renovated and luxuriously appointed. 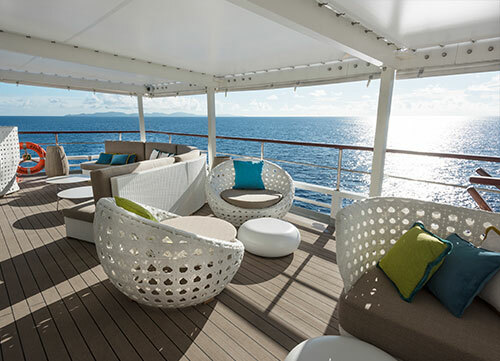 Truly the most luxurious way to see the world, our seven-day yacht cruises aboard the Crystal Esprit visit the Mediterranean (Dubrovnik to Venice) and the West Indies (Marigot). Truly some of the finest vessels in the world, our fleet of river boats, cruise ships and yachts is world renowned. Each has its own advantages, depending on how you like to travel. Echoing the finest in classical music, our fleet of river boats includes the Bach, Debussy, Mahler, Mozart and Ravel. Luxuriously appointed with spa facilities, swimming pools, open-air and glass-enclosed viewing areas and so much more, these narrow vessels are perfectly designed for river travel. Your choice of rooms varies by boat, but rest assured that even the least expensive quarters rival the finest hotel accommodations in the world. For the ultimate in luxury, choose the Penthouse suite. These incredible rooms feature panoramic balcony-windows for the best stateroom views you’ll ever glimpse. All rooms, regardless of size, come fully stocked with everything you need for an enjoyable cruise. This includes double-headed showers, complementary terry robes, the finest Egyptian cotton bedding and butler service including unpacking, optional experience arrangements and in-suite hors d’oeuvres and canape service. The public areas of the boats are no less luxurious. The top Vista deck features both open-air and glass-enclosed viewing areas for spectacular views regardless of the weather. The Vista bar is a great place to mingle or enjoy a cocktail in solitude while drinking in the views. Lower decks include the Crystal and Seahorse. On-board dining includes a-la- carte and breakfast options, Waterside market, open-seating dining, indoor and outdoor options, the main restaurant with an incredible breakfast buffet, ean-style Bistro, pantry, piano bar, Palm Court and much more, with additional options coming soon. On-board fitness is no problem, thanks to state-of- the-art fitness centers with treadmills, Kinesis machine, stationary bikes, free weights and more. Travel activities can be customized to perfectly suit your desires. Options include both active and “soft” activities at each stop, including guided tours with local English-speaking guides. If you prefer to find your own way, we offer complementary GPS Whisper Guides for independent exploration in each city we visit. This allows you to explore at your own pace, following your own interests. 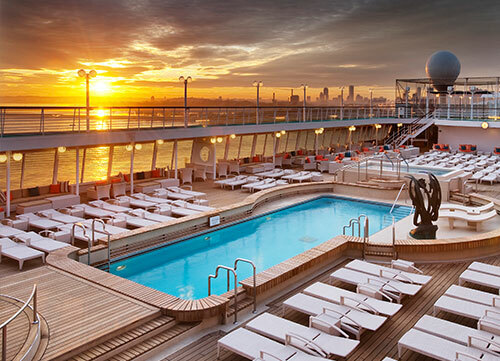 Whether your trip takes you on board the Crystal Serenity or the Crystal Symphony, you’re in for a treat. Each ship is the last word in luxury, from the opulent staterooms to the on-board dining. Our ships are designed with a California vibe in mind, capturing perfectly the area’s blend of cool relaxation and chic attention to detail. From the green, living accent walls to the boutique luxury shopping, you’ll find something new to love at every turn. Each ship is equipped with shopping, a luxury salon, spa, fitness center, weight room, children’s playroom, pool and teen center, ensuring that no member of your family will ever be bored. On-board dining is exceptional, with the Crystal Dining Room offering Michelin-star worthy options throughout the day. A modern menu is available for the more adventurous while amore traditional menu offers tried-and- true fare. Celebrity chef Nobuyuki Matsuhisa, known simply as “Nobu” to his legions of fans, has partnered with Crystal since 2003. We are very proud to offer his exquisite cuisine in Silk Road and The Sushi Bar, the only two sea-going restaurants in Nobu’s empire. You’ll find many more dining options on-board, including cafes, ice cream shops and poolside bar-and- grill fare. Your accommodation options on a Crystal Cruise ship are second to none. Your view options include huge picture windows or incredible open-air verandas, letting you enjoy the beauty of every port of call and the open ocean before you ever leave your quarters. All rooms feature24-hour room service, designer lighting, flat-panel television with Blu-Ray, complimentary soft drinks and water in your mini bar, convenient self-service launderettes, exclusive ETRA S.P.A. bath products packaged specially for Crystal guests, Frette bathrobes, kimonos and slippers, twice-daily housekeeping and much more. You’ll sleep like a baby on queen or twin beds with opulent bedding and enjoy, even in the smallest state rooms, a separate living area with plenty of seating. Yacht CruisesAccommodating just 62 guests at a time, our yacht cruises aboard the Crystal Esprit are some of the most intimate vacations in the world. We offer tours of the Mediterranean and the West Indies, blending culture, water activities, fine on- and offshore dining and so much more. Yacht accommodations offer a choice between the Owner’s Suite and Yacht Suite, each with ETRO robes, slippers and amenities, flat-screen television, king and queen-size beds with the finest linens, butler service including room service, packing/unpacking and Optional Experience arrangements. Onboard your yacht cruise, you’ll enjoy immersion and cultural enrichment from your Destination Leader, as well as the Cove Lounge for social viewing, nightly live entertainment, professional help choosing the best onshore excursions for your fitness level, surround sound throughout the yacht, yoga and meditation. This is in addition to Crystal’s world-renowned dining, which you can experience in the central Yacht Club Restaurant, the Patio Cafe, the Grill for burgers and local fare, and the Pantry for coffee, vintages, snacks and more. Perhaps the most unique and enjoyable feature of choosing the Crystal Esprit above another of our vessels is the advantage of size. The Esprit can gain access to small, intimate coves and other areas which are simply inaccessible to larger luxury crafts. This means a better and more authentic cultural experience, visiting areas which most large cruise ships have to pass by in favor of large tourist ports. You’ll be amazed at the vibrancy of a yacht cruise, both on and off board, due to this new world of flexibility. Regardless of whether you choose a river boat, cruise ship or yacht, you are our number-one priority – and you’ll feel it the minute you step on board. We strive to treat our guests like honored family members, and you’ll find each and every staff member eager to help you out or simply enhance your enjoyment. Each vessel has advantages for different needs. 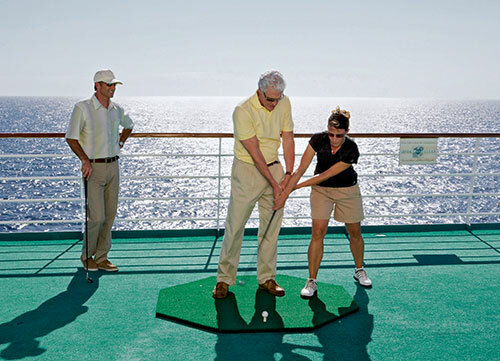 Families often prefer the variety of activities on our large cruise ships, while couples and singles tend to enjoy the intimate feel of our river cruises and yacht trips. The choice is yours – we aim to have something for everybody, and we think you’ll agree. From our staff to our accommodations to our destinations, we know you’ll feel the difference of Crystal. We are a superior choice when it comes to water travel, and take every opportunity to improve with each guest. You’ll never be bored, lack for information or feel crowded – and the result is a vacation like none other. Choosing Crystal for your next vacation isn’t just a step up – it’s a step into the world of true luxury.